The Architecture of Happiness is a dazzling journey through the philosophy and psychology of architecture and the indelible connection between our identities and our locations. One of the great but often unmentioned causes of both happiness and misery is the quality of our environment: the kinds of walls, chairs, buildings, and streets that surround us. And yet, a concern for architecture is too often described as frivolous, even self-indulgent. 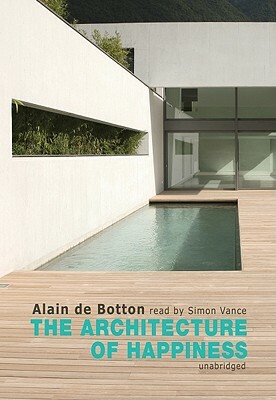 Alain de Botton starts from the idea that where we are heavily influences who we can be, and argues that it is architecture's task to stand as an eloquent reminder of our full potential. Whereas many architects are wary of openly discussing the word beauty, this book has at its center the large and naive question: What is a beautiful building?